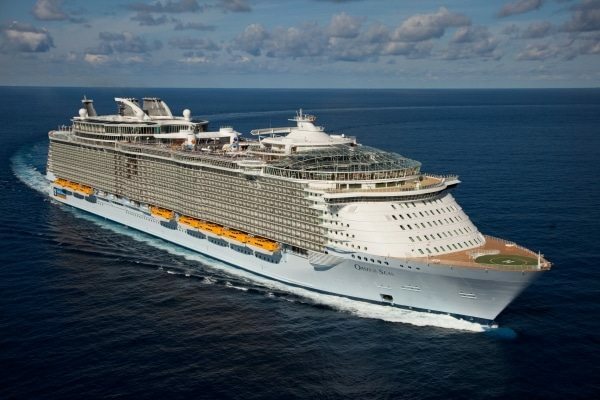 With over 275 passengers suffering from a norovirus outbreak, Royal Caribbean has made the unexpected decision to cut Oasis of the Seas’ current cruise short, bring everyone back home and offer all of the passengers on board a full refund. In a letter distributed to passengers yesterday, Royal Caribbean said the following: “During this sailing, there have been a small percentage of guests onboard who have experienced gastrointestinal illness, thought to be Norovirus. According to health experts, nearly 300 million people worldwide are affected by Norovirus each year. Only the common cold is more prevalent. After giving instructions on the best ways to avoid falling ill, the letter went on to say that they had “no reason to believe that any illness will have any impact on the remainder of our sailing.” Of course, that turned out not to be true, as a day later the decision was made to bring the ship and her passengers home early.